I was born and raised in San Diego; I’m the youngest of five children. 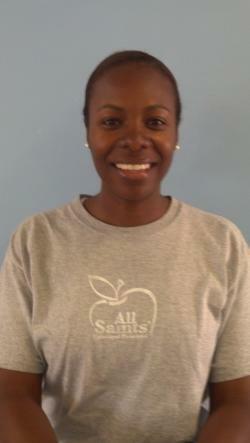 I have worked at All Saints Preschool since 2006. I enjoy working with children because you get to interact with them on a personal level, getting to know their personalities and traits as their becoming individuals. I am able to teach and learn new and exciting things every day. My goal in the future is to further my education in child development, and hopefully become a child care provider for infants/toddlers. In my free time I enjoy listening to music, dancing and watching television.